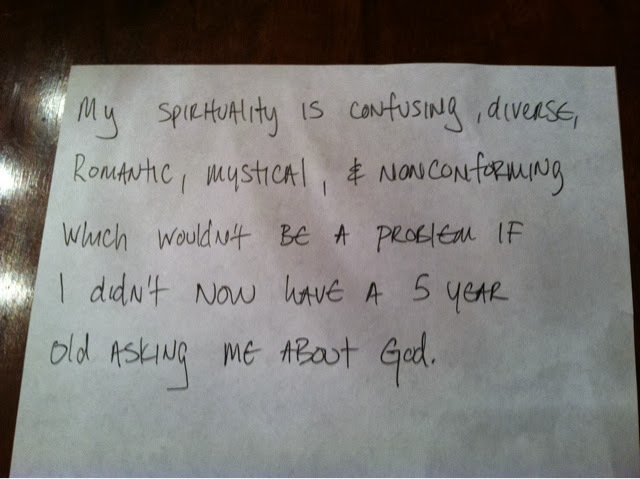 I don't normally get social about religion and spirituality because it never seems to end up where I want it. But this has been pushed to the forefront of my mind of late what with a very perceptive kindergardener and it being Christmas. So, I thought I would pair it with today's Think Kit prompt that asks us to display our penmanship with a note, story, tweet, etc. Marvel at the clear, varied style of my personal font and don't ask me about religion.